Directors and staff from academia, business, and nonprofit organizations who work daily to encourage economic growth through science, technology and innovation. 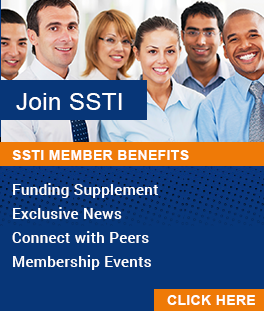 SSTI's 2019 Annual Conference is being hosted by the Rhode Island Commerce Corporation in Providence on Sept. 9th to 11th. Visit https://ssticonference.org/ for more information. Visit the links below to view the PDF brochure from many of our past conferences. The brochures demonstrate that SSTI’s annual conferences offer the right balance of roundtable conversations, presentations, networking sessions, and discussion panels spanning an array of technology-based economic development topics.